Today, SteelSeries announced a ten-keyless variant of its APEX M750 mechanical gaming keyboard, the Apex M750 TKL. It features the high build quality and esports performance of the original M750, but in a compact and transportable 10-keyless design. 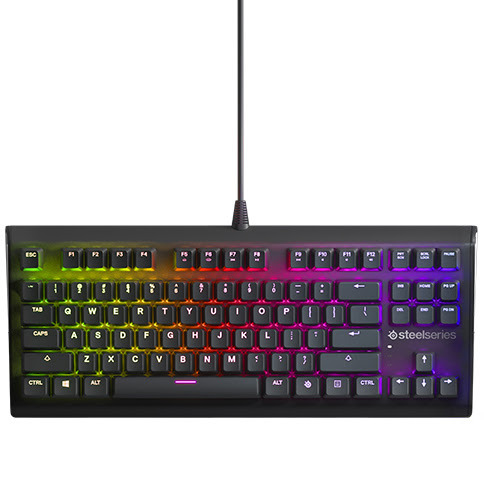 The M750 TKL uses SteelSeries’ QX2 mechanical switches, features a sleek and durable 5000 Series aluminum metal-alloy frame with a black matte finish, ultra-bright, individual RGB LEDs, and is compatible with SteelSeries Engine apps for crucial in-game notifications, to give gamers the ultimate combination of beauty, performance and customization. The keyboard was designed for competitive esports. Its durable design and small size is easy to transport to tournaments or events without fear of it being damaged. The 10-keyless design optimizes the spacing between the keyboard and mouse, bringing gamers’ hands closer together to improve ergonomics for long gaming sessions. Users can still take full advantage of all SteelSeries Engine apps on the M750 TKL, like Discord Chat Integration, ImageSync, Audio Visualizer, PrismSync and GameSense. The APEX M750 TKL is available now at https://steelseries.com/apextkl for $119.99.